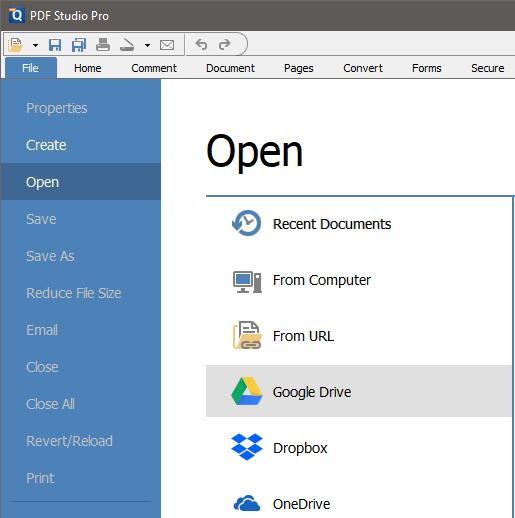 PDF Studio version 2019, will come with Google Drive, Dropbox & OneDrive Integration (more to come in the future). 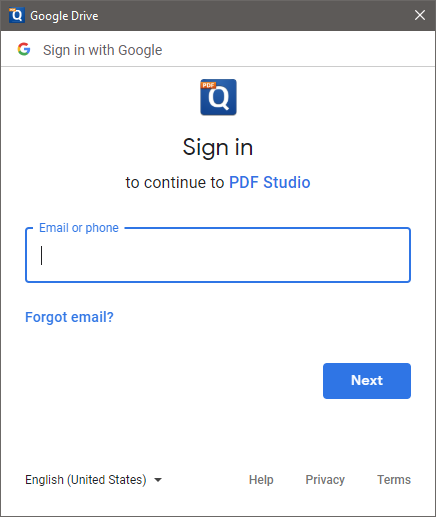 These integrations will allow you to connect to your cloud storage to view, modify & save the files directly from within PDF Studio. Note: An account with the cloud drive service is required. Files are not edited directly on the server but instead a temporary local file is stored during editing. Once saved, the file is sent back to the server and the temp file is removed. 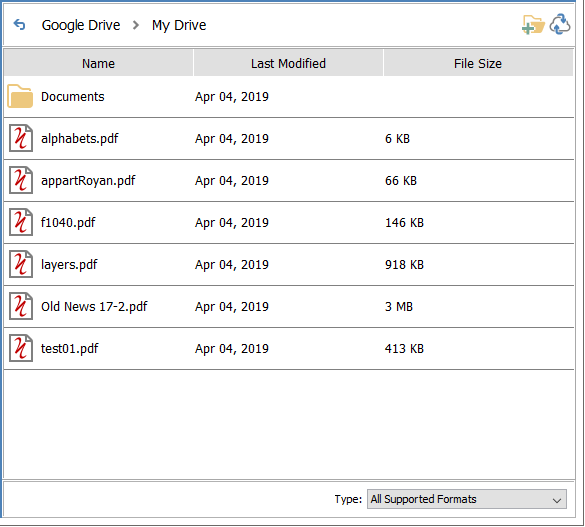 Files can be saved directly to the drive it came from by just clicking on the Save button on the toolbar or using the Ctrl + S shortcut key. Once logged in your access key is stored across sessions. If needed you can log out of your cloud drive service to ensure that another user cannot access your files.